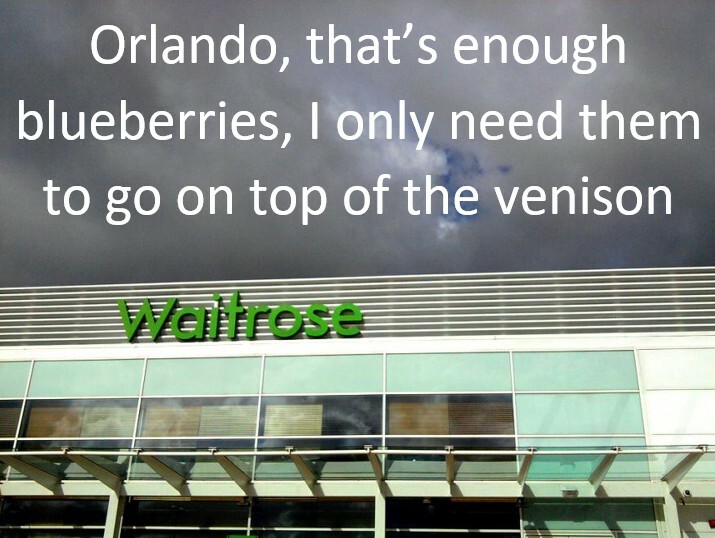 My friends who are not from the UK may never heard of our supermarket Waitrose. It’s a great store with high quality goods but it does have the reputation of being, shall we say, the supermarket of choice for the middle and upper classes who don’t mind paying more for products if it means not having to rub shoulders with us hoi polloi. It’s the antithesis of Walmarts. So when Waitrose asked its customers to tweet about why they shopped there, they got more than they bargained for. 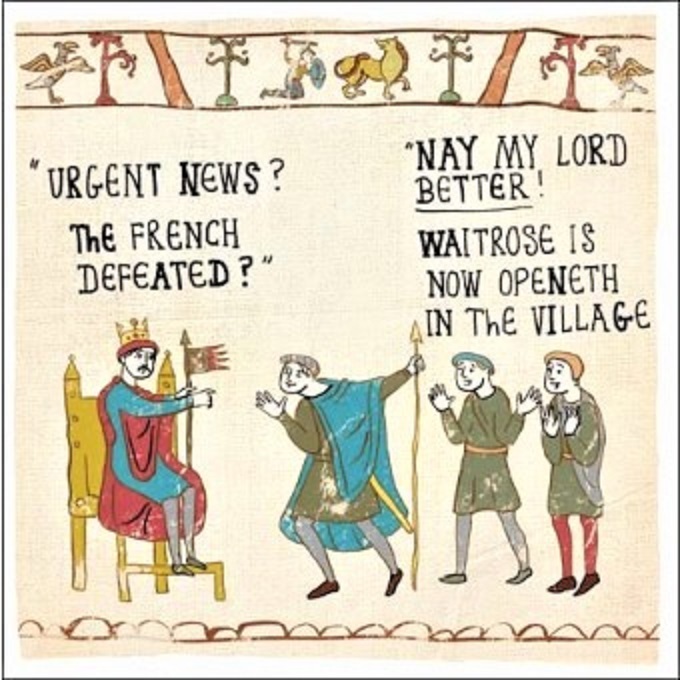 Tweets had to begin with the phrase, “I shop at Waitrose because…” It was the ideal opportunity for the country to have a laugh at the store’s expense with made up comments interspersed among the genuine - and I'm not sure which is which! Like this one: I shop at Waitrose because I once heard a woman tell her child, "Don’t rummage in the reduced bin, darling, someone from the golf club might see you." Some were more surreal: I shop at Waitrose because Tabitha and Tarquin only eat phoenix eggs that have been collected by wizards who share their values. And finally, someone must have been listening to me before writing this (I wish! ): “I would cook scampi for dinner, but I just don’t feel I could do it justice after the way our butler cooked it on holiday." We don't have Waitrose's here in West Michigan USA. Thanks, Jean. 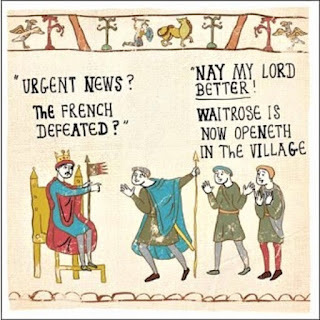 I shouldn't lose any sleep over not having a Waitrose! If we had one here in the states, it would be worth going there to people watch and listen--probably all I could afford to do. You can find a few bargains in Waitrose - so I'm told! I'm guessing they don't sell Velveeta there, too bad, Velveeta makes the best grilled cheese...even if it is not really cheese...it make the best grilled cheese like sandwich. Never had a grilled "cheese like" sandwich and not one crumb of Velveeta has ever passed my lips! Not sure if our supermarkets sell it or not but I'm going to look for it now! I've just done a "search" and it seems you can buy it on Amazon! Sounds like America's version of the Whole Foods supermarket chain. I had to look up Whole Foods and it does sound similar. I don't think we have the chain here. Thanks for the giggles. I'm a step or two below hoi polloi, so those people all sound like snobs to me. I'm below the hoi polloi too - and can't say it's ever bothered me! That's hilarious. ~grin~ I'm reminded of how they call Whole Foods here Whole Paycheck. They're not far off. This pensioner shops in the much less expensive Kroger grocery stores. Heh... So glad you have a brother doing your yard work. Good for you! I don't think we have Whole Foods in the UK, I've never seen one. 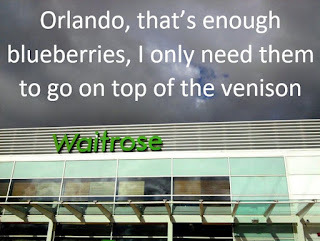 I don't shop in Waitrose but usually go to the one nearest which is a middle-of-the-road Tesco.